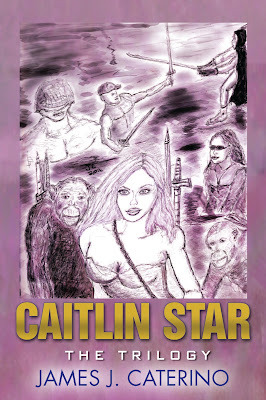 Sketchbook page of used as the cover art for Caitlin Star: The Trilogy. 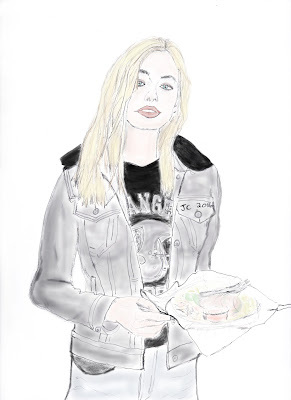 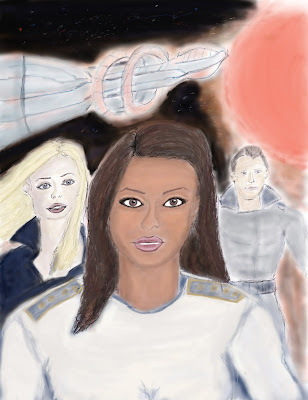 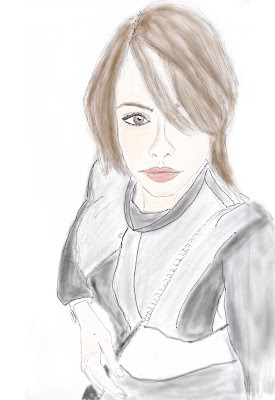 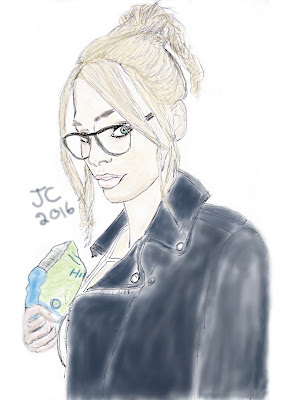 Painting of Caitlin Star from Caitlin Star: The Trilogy. 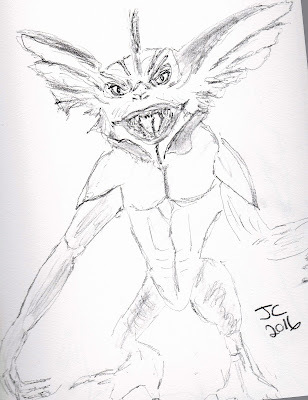 Quick sketch of Stripe the Gremlin. 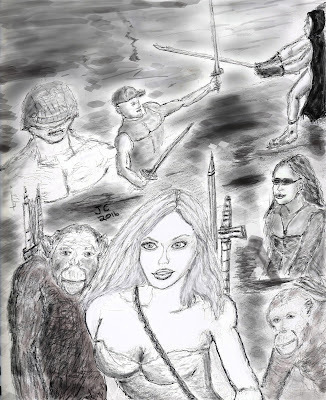 Work in progress painting of a work in progress screenplay and book.